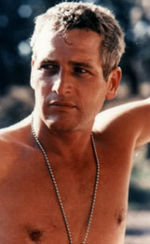 Happy Birthday to Mr. Paul Newman. Mmm-mmm-mmm-mmm MMM! Hmm...quite an interesting post I must say. Drop into my blog for loads of unique birthday gift and party ideas. Oh, heck, Ms. Cornelius, you know he's older than that! Mr. Cool Hand Luke. Great man, good career. anon-- you know I grew up in the neighborhood which was featured in the S.E. Hinton novels -- at the same time she was writing them. It's like they give me serious deja vu. And, CTG, I don't care how old he is-- he is gorgeous. AND a fabulous actor. I was anonymous. I don't know why I posted that way. I'm really Ruth.